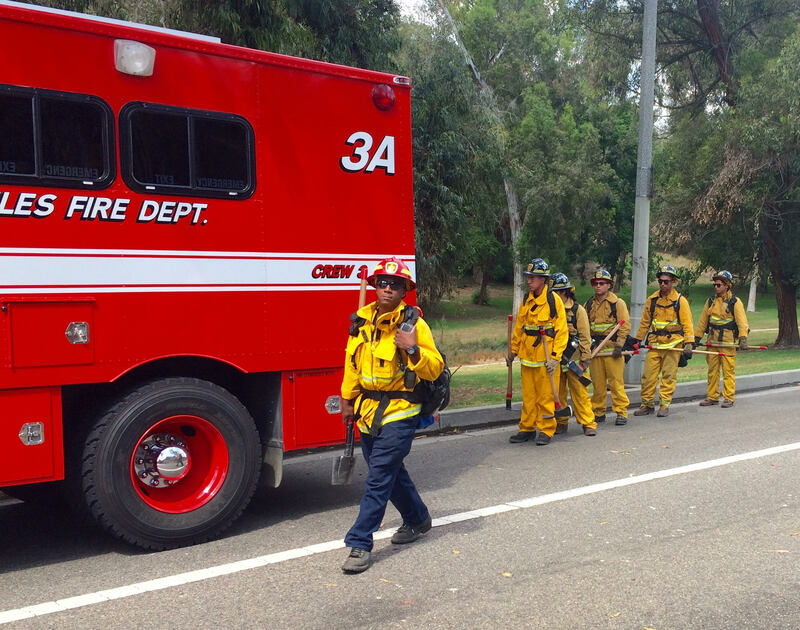 Elysian Park - Approximately 100 Los Angeles firefighters extinguished a brush fire that burned a little over 6 acres in Elysian Park, north of downtown L.A., on Thursday. At 11:45 AM on September 22, 2016, LAFD responded to a Brush Fire on Elysian Park Drive just north of Dodger Stadium. LAFD first learned of this fire in a unique way. A LAPD helicopter flying in the area spotted the fire and immediately radioed our dispatch center, before any 911 calls were initiated. 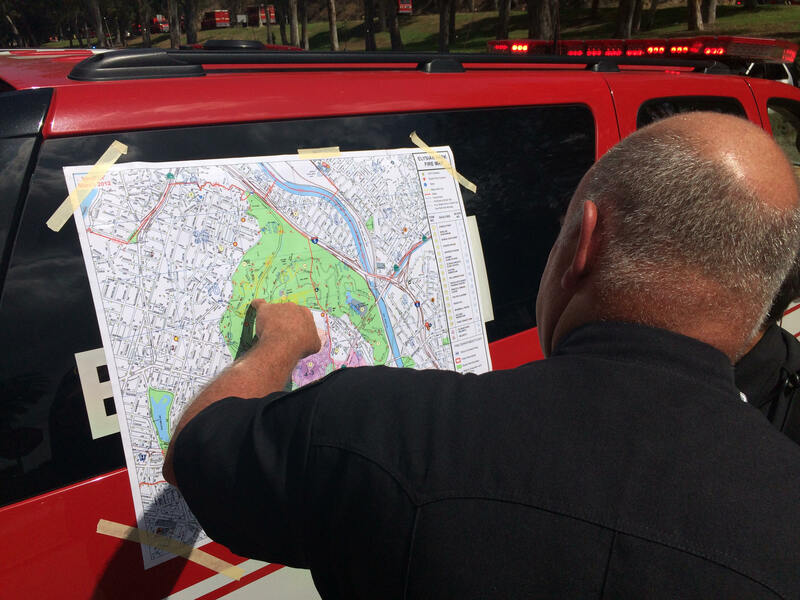 This early notification allowed firefighters to quickly get the upper hand, and highlights how your local fire and police continually work closely behind the scenes to provide exceptional public service. Firefighters arrived on-scene to find a one acre topography driven fire burning on a hillside near Academy Road and Stadium Way, not far from the Los Angeles Police Academy and the Dodger Stadium parking lot. Waves of additional firefighters were systematically requested. They hit the flames hard and fast from the ground and air, keeping the fire away from any nearby structures and a public art sculpture at Angels Point. Approximately 100 firefighters, under the command of Assistant Chief Donald Frazeur, fully extinguished the flames in one hour and four minutes. Fortunately, no structures were damaged and no one was injured. The cause of the fire is under active investigation. Weather at the time of the fire: Temp 75, Wind 5 mph, Humidity 55%. Dispatched Units: E220 T20 RA20 E3 T1 E201 E6 E56 E250 T50 E11 T90 E290 H0F H0A EM18 BC11 BC1 RA90 H1 H2 T90 E290 H5 CM22 E481 BC2 H3 E4 CW3A CM21 E211 T11 E2 E9 E44 E52 HU89 BC13 BC18 BC9 T90 E290 E27 E29 E209 E15 E61 RA3 RA1 EM11 EM1 BC5.